By all accounts, and especially from the reaction of the exhibitors, this has been a very successful show. 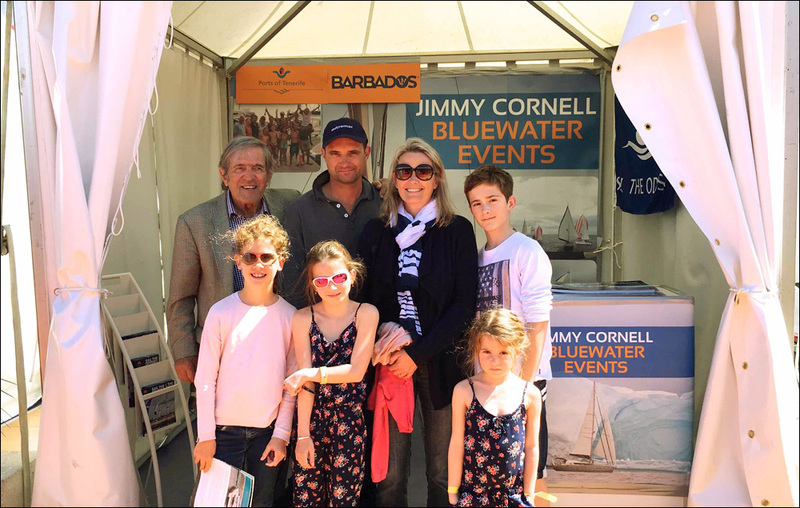 The Cornell Sailing Events stand has been, as always, a meeting point for participants in our rallies; not just those still to come but also previous events. Stopping by to say hello were former participants in ARC 1987, 1994 and 1997, Millennium Odyssey (1998-2000), as well as Atlantic Odyssey 2013 and 2015. 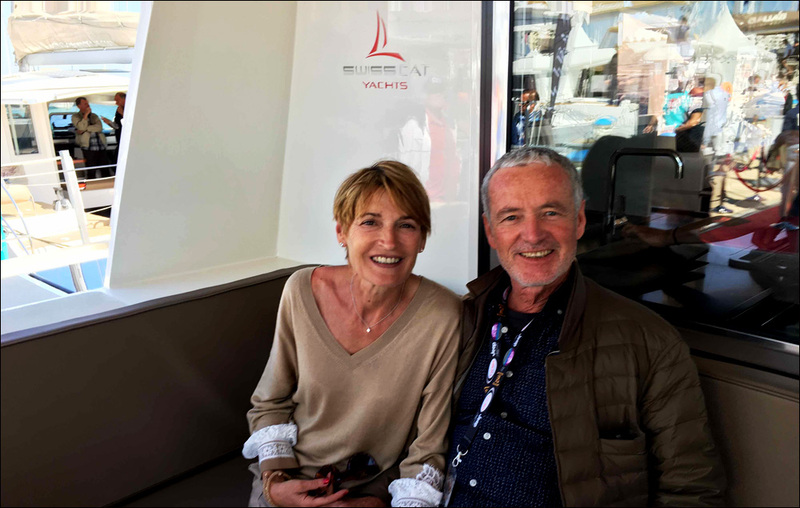 Discussing future plans with Vincent and Annick Delvoye, who will be taking delivery of a Neel 51 trimaran later this year and plan to cross the Atlantic in 2018. 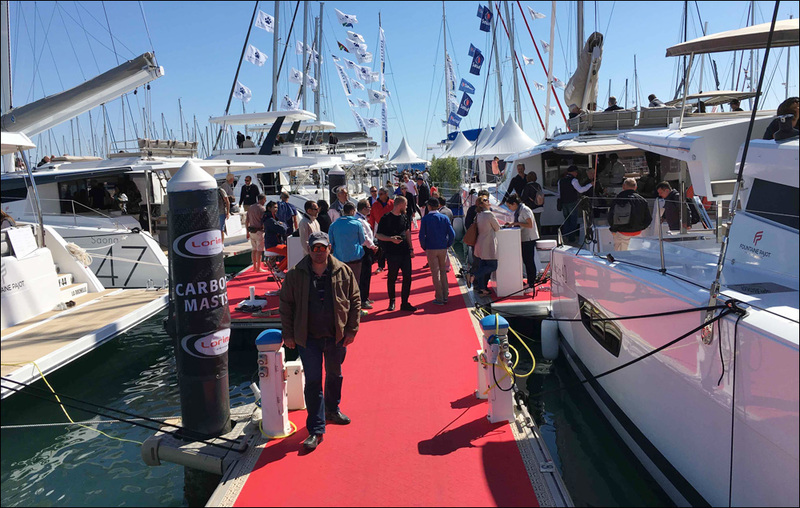 Chantal and Christian Esnault’s Puravida, a Swisscat 48, which was a on display at the show, fully equipped and ready to go… but not just yet as full-time retirement and a world voyage will have to wait until 2019. 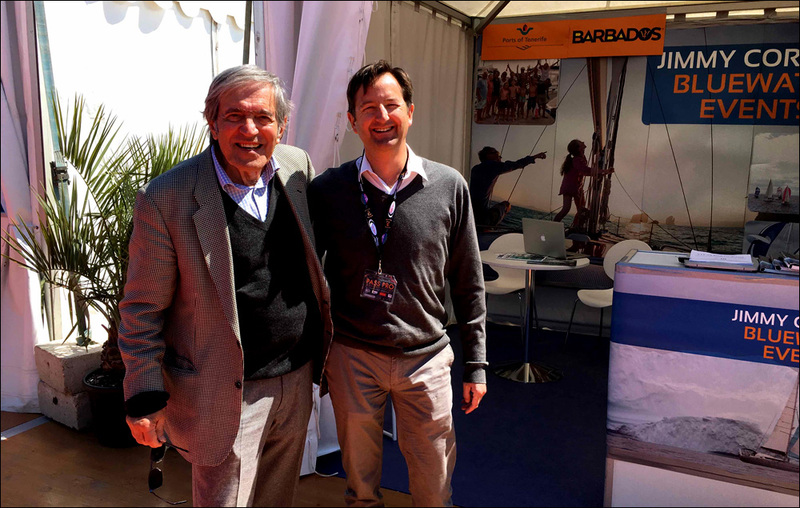 Among the visitors to our stand was also Xavier Desmarest, an old friend and CEO of Outremer Catamarans. The story of the company he now leads is as fascinating as his own. 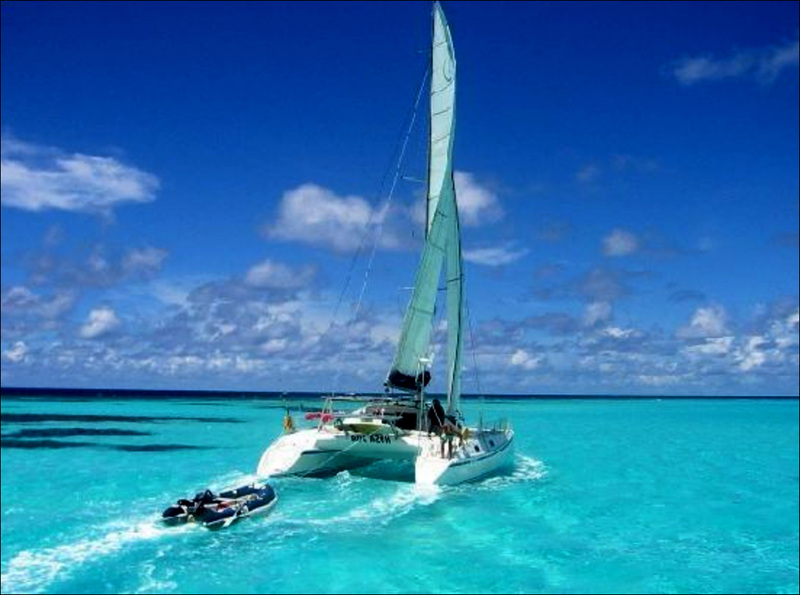 In 1984, Gérard Danson, a young naval architect conceived and built the first performance catamaran aimed at long-distance cruising. 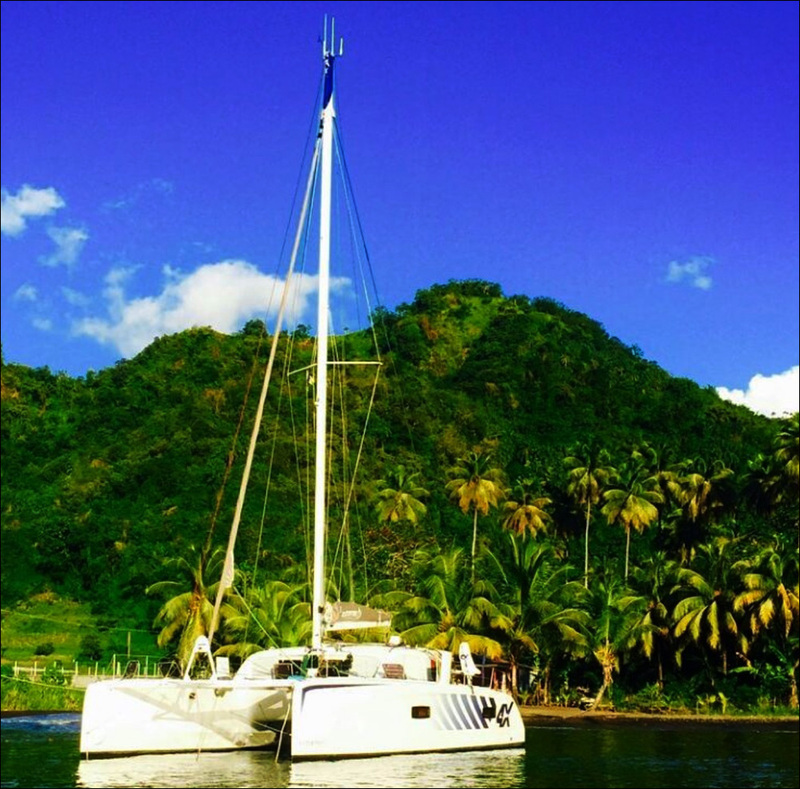 The 40-foot cat was an instant success and the Outremer brand became the best-known catamarans for long distance cruising. 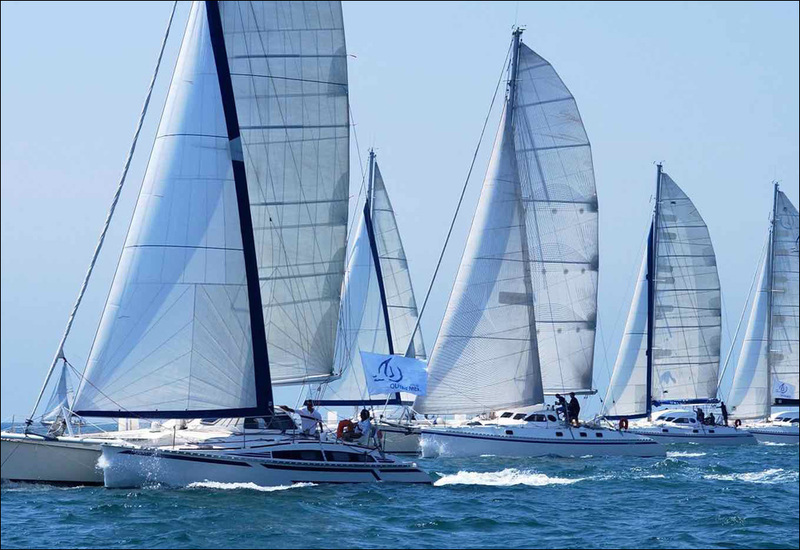 The first Outremer cats monopolized the podiums of the racing world, including winning the prestigious OSTAR. 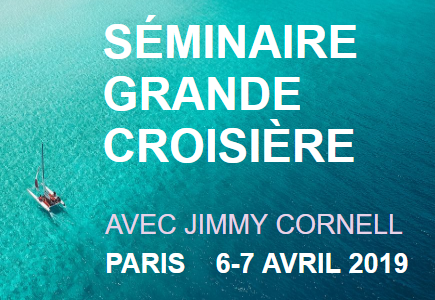 But Outremer’s cruising appeal quickly took precedence as more and more families discovered that catamarans were a comfortable and seaworthy boat whether for a sabbatical one-year-round-Atlantic voyage or a circumnavigation of the globe. 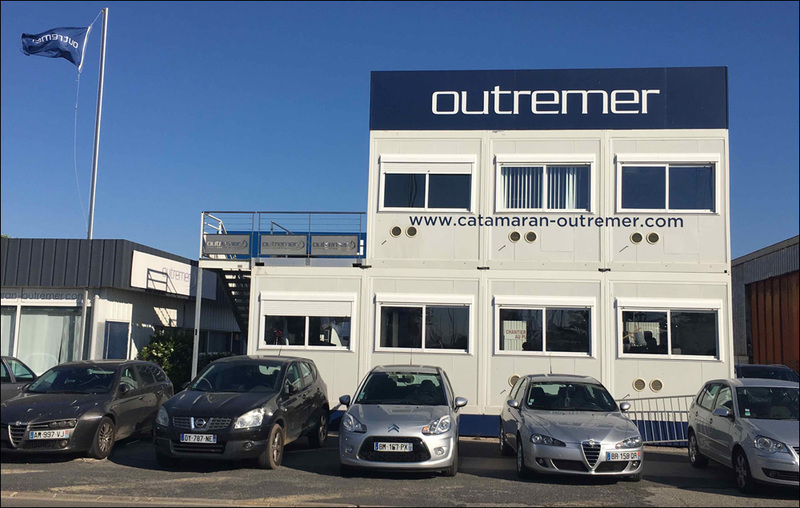 It all started here, in La Grande Motte, where the Outremer boatyard is only 200 metres away from the current boat show. 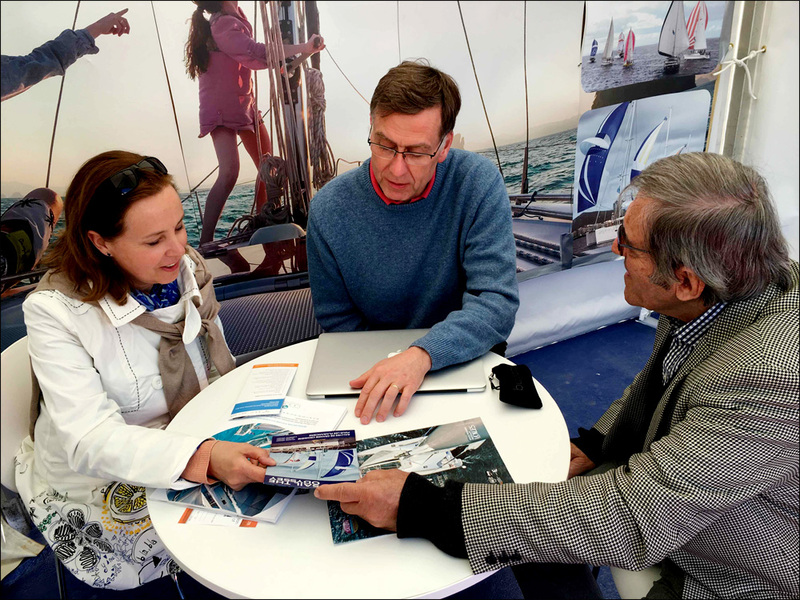 Gérard Danson died in 2005 and in 2007 Outremer was acquired by two French sailors, Stephan Constance and Xavier Desmarest, planning to set off on a world voyage and looking for a suitable boat to do it in… Instead they ended up buying not one but two boatyards, and the rest is history. 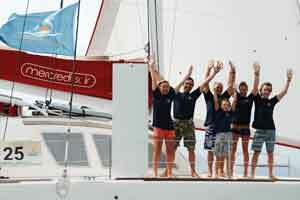 Their Grand Large Yachting group now also includes such well-known brands as Allures, Garcia, and recently Gunboat. 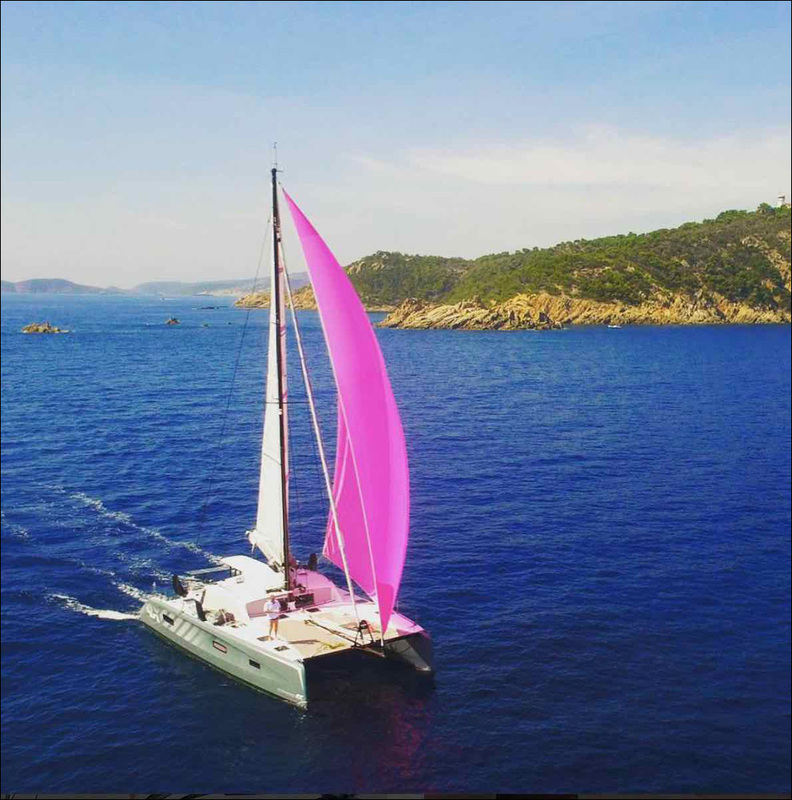 Outremer continues to be at the forefront of catamaran design and innovation, and its most popular Outremer 49 has won the European Yacht of the Year and US Boat of the Year awards. 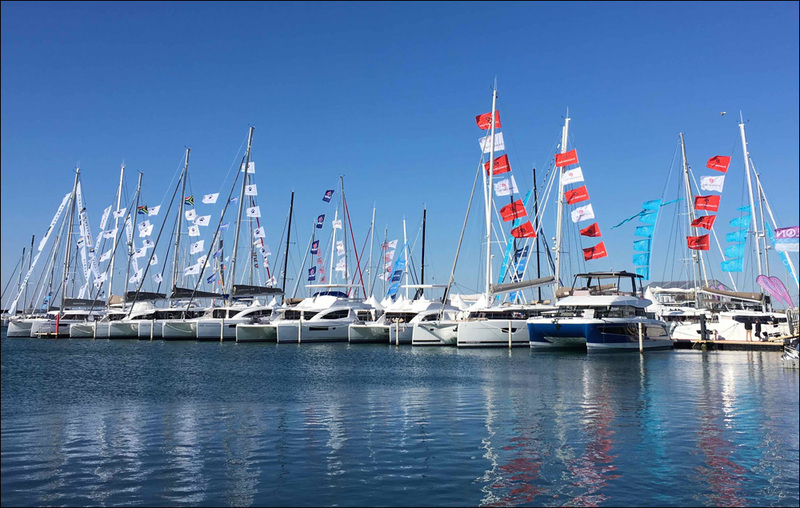 Its promising followers, the 4X and 5X models, continue to set the standard for blue water catamarans. 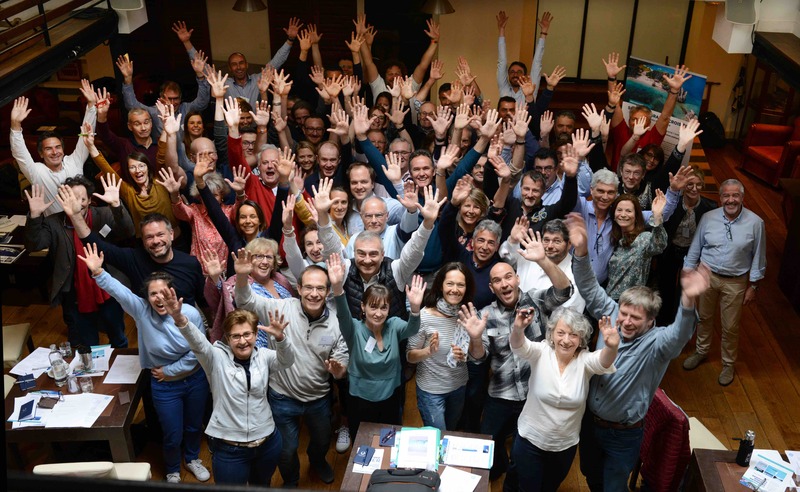 Why join an Odyssey rally?